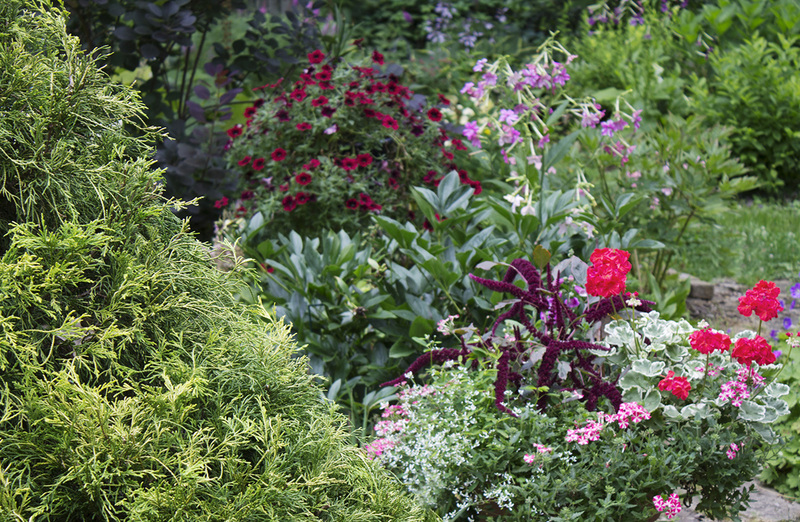 Petal Talk: How Does Your Garden Grow When The Sunshine Fades? How Does Your Garden Grow When The Sunshine Fades? 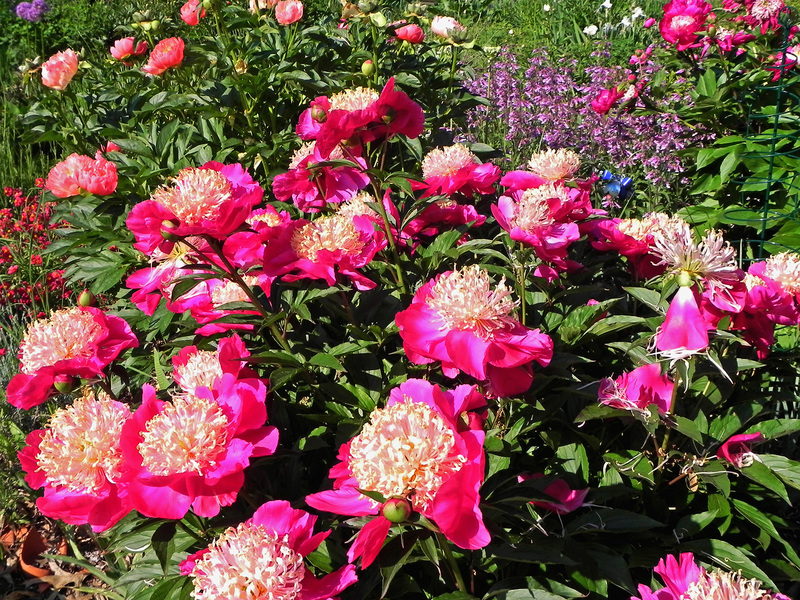 Peony 'Tom Cat' was smothered in blooms in 2012. When we chose this house 17 years ago, I dug up the Hostas that were running roughshod over the garden and replaced them with sun-loving peonies, ornamental grasses, lilies and cone flowers. I dotted the gardens with dwarf conifers, and tucked in a few butterfly bushes, more peonies, and anything else that caught my fancy. 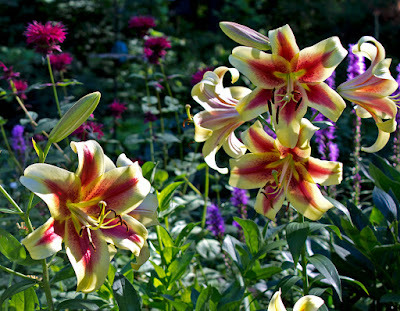 These lilies have been the same size for three years. It took 17 years to come to grips with the reality--I was losing the light. The pin oaks on our wooded lot grew and grew, eventually cutting off any chance of a good day of full sun. It was hard to see the growth, but the result was undeniable. My peonies produced fewer flowers. Everything flopped. Reaching toward the sun, for a plant stem, is tiring business. They'd sacrificed important load-bearing cells as they stretched out to attain that all important sunshine. Four years ago I had options for sun-loving plants. One indication of my plants' plight is the number of plant stakes I'd accumulated. Over the past three years, everything has had to be propped to the nth degree. I was supporting dozens of plants that had no business requiring assistance. Some, like the Buddleia, defied gravity and stood strong, even producing a good amount of flowers. It got to the point that even the short Zinnias threatened a swoon if they didn't have a fence of crutches to lean on. Some of my favorite lilies disappeared, while others bloom without thriving or producing new bulbs as they'd be doing if they were truly happy. After acquiring an average of three new herbaceous peonies each year for the first 12 years, I switched to tree peonies, as they purportedly didn't need as much sun. I guess it speaks highly of them that the flowers were so big I had to stake the stems. 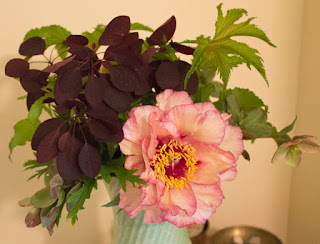 I've curtailed my peony collection, and have even been digging a few up to sell on eBay. 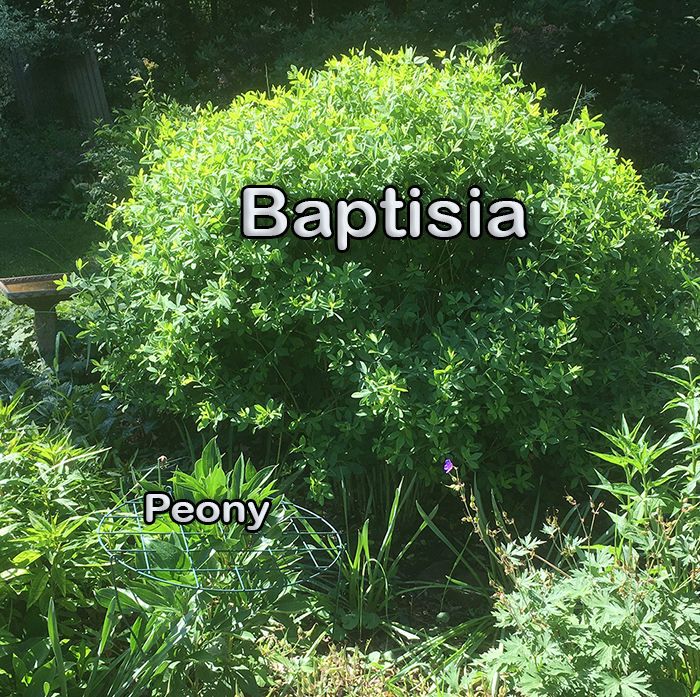 Baptisia overshadows the three year-old peony. I tried to dig up a seven year-old false indigo (Baptisia) but it wouldn't budge. Now, after it blooms, I cut it back so it doesn't drape over everything within a 10-foot radius. It looks terrible for about three weeks, but at least the peony I unthinkingly planted nearby will have a chance at life. Sounds like you need to become a shade gardener.